On Friday 15 December we went to an Enchanted Kenilworth event at our local English Heritage castle in Kenilworth. on the side of Leicester’s Building – which was constructed specially to accommodate the royal party and all the guests during Elizabeth’s famous 19-day visit to Kenilworth Castle in July 1575, during which Sir Robert Dudley, Earl of Leicester, made his last attempt to win her hand in marriage. Also we loved “the ghostly party” in John of Gaunt’s Great Hall. Dancing figures of light appeared on the walls, and before us a banqueting table was laid out with goblets – just a mere shadow of the lavish parties which John of Gaunt threw here during the 1360’s having turned the fortress castle into a palace. The Elizabethan Garden looked enchanting with the central statue on the fountain fully illuminated and lights dancing and playing in the garden. What could be more poignant than a formerly grand mansion, standing on a cliff, now partially demolished, abandoned and desolate? Gaping staircases you cannot climb; stone balconies you long to stand on to gaze at the view; empty windows you feel sure a shadowy figure should flit past. Just such a gaunt mansion is Guy’s Cliffe House, our local romantic ruin, perched atop a cliff above the River Avon, catching the imagination of all who pass by on the other side of the river. Gothic stone tracery, an ornate balcony, evidence of a flambuoyant builder, remain to tantalize you. For one of those who occupied the house embellished it with Roman, classical, mediaeval and Gothic elements. Guy’s Cliffe House so caught my own imagination during the past few years that I occasionally wished that, if I was hugely wealthy, I could pay for it to be restored to its former glory. In reality, I’d like it to be made safe for people to enter and explore, and for new timber staircases and walkways to be constructed, so we could climb to those balconies and gaze at the view. And I’d like all the original formal gardens to be restored so people can wander around in them and enjoy the romantic setting. I feel that Guy’s Cliffe is a poignant illustration of what happens when wealthy property owners do not successfully pass on their property to an equally rich and prudent and competent heir. One developer/house-breaker deliberately demolished part of the Guy’s Cliffe House, then all the contents were auctioned off, and and accidental fire and neglect did the rest. We all find it difficult to understand how such a grand property gets damaged, ransacked and neglected like that. 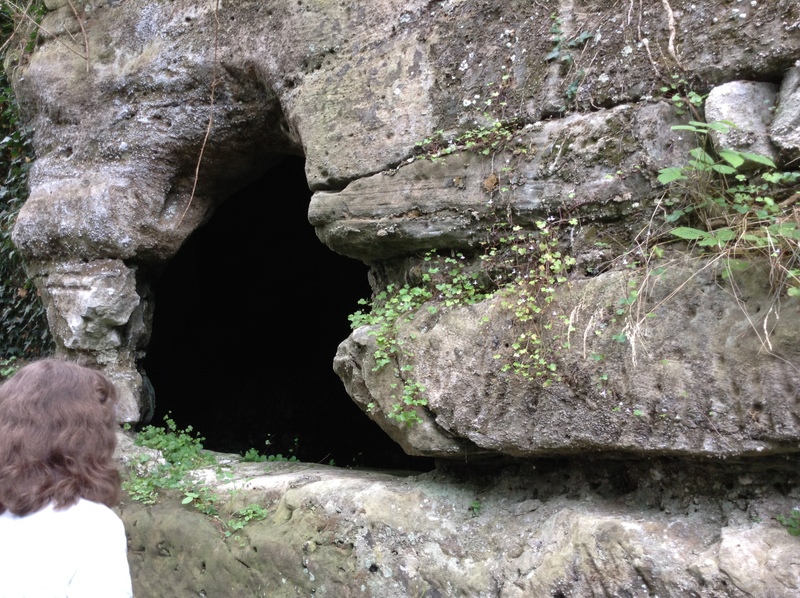 8 foot tall bamboo now crowds close to the cave in the cliff, where Guy of Warwick, in the tenth century, returned from the Holy Land and mysteriously chose to live for two years, rather than reuniting with his wife and child in the house above. And next to the house, the lovely chapel of Mary Magdalene contains Guy’s figure in stone, representing him to be 8 ft high. 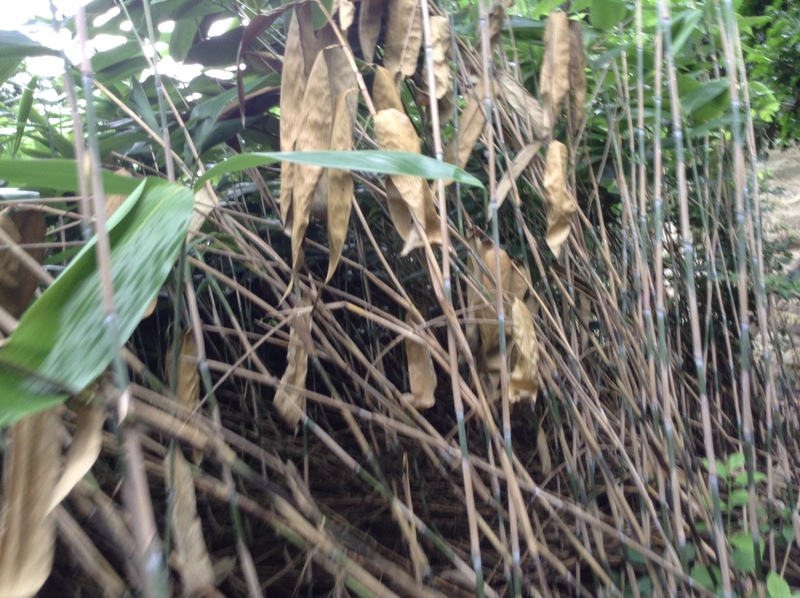 The formal gardens have vanished, overgrown by tall trees and shrubs and bamboo. It’s like another world – untouched, just left as it is. So many windows. You feel somebody should appear in them. 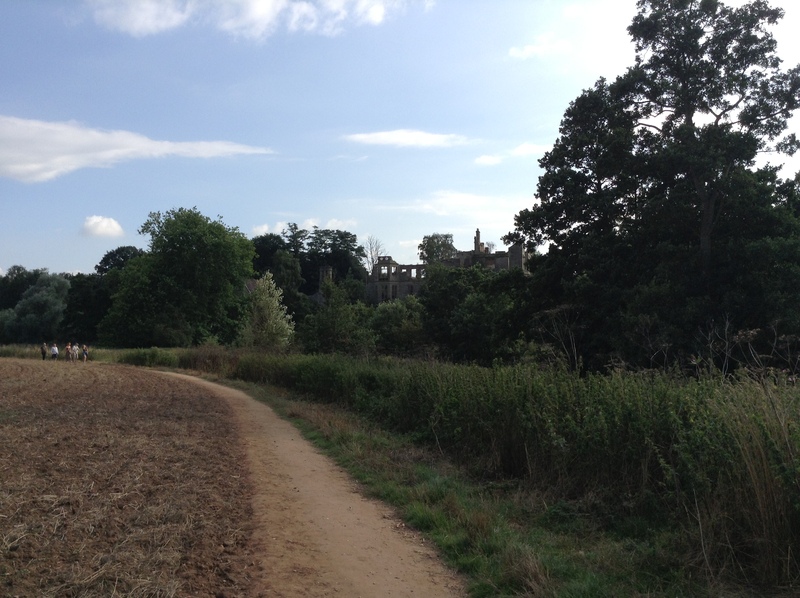 We couldn’t fail to wonder and imagine as we took the guided tour around the house and grounds on 25 August 2013, guided by our host Adrian, with an excellent, fluent and richly informative talk. 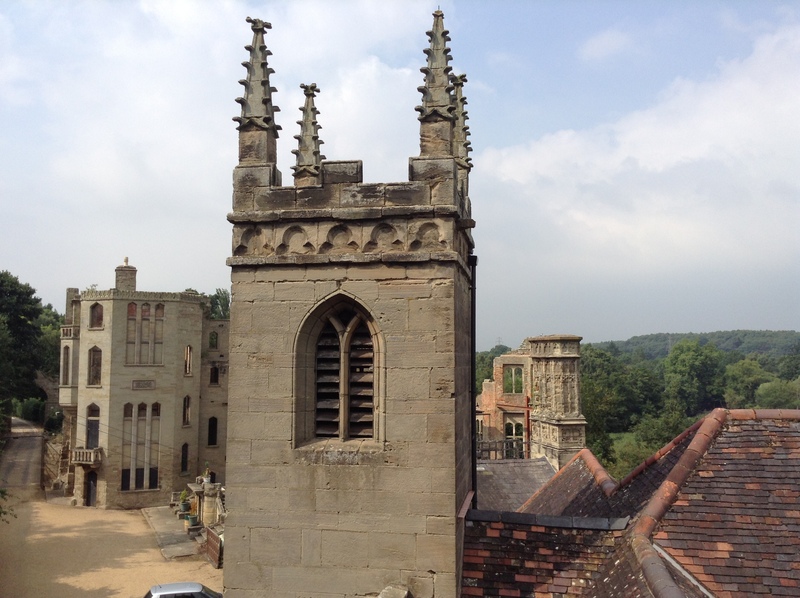 If you’re in the area of Warwick then don’t forget to book a guided tour round Guy’s Cliffe after you’ve visited Warwick Castle! Controlling women are a recurring theme in my life. Add to this a love of history. 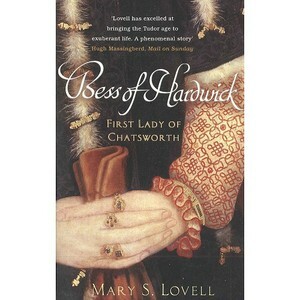 And so when I found the book Bess of Hardwick: First Lady of Chatsworth by Mary S. Lovell, I felt impelled to read it. It is said that only when a lesson is learned, does an issue stop recurring in your life. And so when I read of one of history’s most outstanding controlling women, I am filled with ambivalent feelings. Three of the strongest, most fascinating women in history – some would call them controlling, others charismatic – all lived in the most turbulent of times, and intersected each others’ lives with the highest emotional stakes. They were Mary Queen of Scots; Elizabeth I; and Bess of Hardwick. 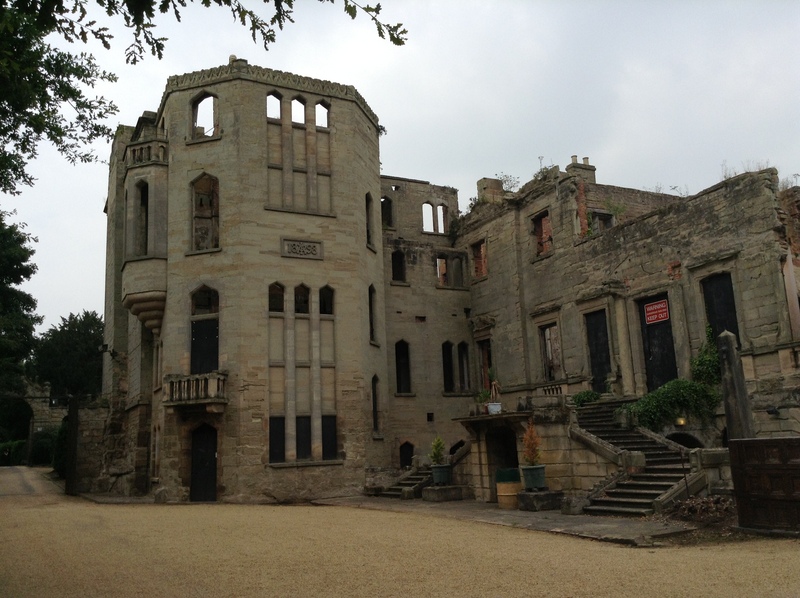 When I recently visited Hardwick Hall and Chatsworth in Derbyshire, I knew little of Bess of Hardwick. Now, having just finished reading Bess of Hardwick: First Lady of Chatsworth by Mary S. Lovell, I am fascinated by her. And I cannot read of a powerful historical figure like this without drawing parallels and making connections with this life, and my own; and the world I know and move in. If I was to sum Bess up for those who’ve never heard of her, I’d say she was a one woman estate and property corporation, plus social and dynastic engineer. She founded several of our great aristocratic families and greatest landowners. She was strong at a time when women were oppressed, manipulated and exploited. She was a “Tudor entrepreneur”, absorbing knowledge from each of her four husbands, and applying it practically to far greater effect than they ever did. 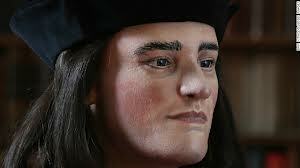 I felt very sorry for her fourth husband the Earl of Shrewsbury. For he was caught up between these 3 strong women: Mary Queen of Scots, Elizabeth I & Bess of Hardwick. He ran up huge bills keeping Mary Queen of Scots captive; despite years of begging letters from him, Elizabeth I refused to pay him a penny for it; and the Earl likewise spent years refusing to pay Bess any of the allowances he’d agreed to give her before they married. And when his son broke into his bedchamber, following his death, he discovered there was indeed very little cash left in the Earl’s iron-bound coffers. In terms of liquid assets, the Earl had genuinely been run dry. No wonder the poor man ended up bitter, whining and querulous. Early in her life, Bess was a feisty young woman who fought her corner shrewdly and relentlessly every step of the way, and made few mistakes. Amongst her personal attributes, readers of this book will note perspicacity; vision; discernment; strategic planning; far-sightedness; a dignified and gracious bearing. And all around her there swam those who were ruled by one or several of the following: greed, impatience, fecklessness, hot-headedness, lack of vision; lack of anger-management; lust; short-sightedness; tunnel vision. I believe Bess succeeded because she was a wise and acute observer of human psychology, and applied it to the best practical effect throughout her life. What she did, she did with skill and balance. Where she took risks, she did so with psychology in mind. She was a master at networking, and choosing the right people to ask favours of, at the right time, in the right way. We can all learn from her. Bess of Hardwick: First Lady of Chatsworth reads like a morality tale about money, success and power. Those who get it and keep it; those who get it and lose it; those who have a talent for letting it slip through their fingers; and the multifarious ways people with varying degrees of honour or dishonour behave around it. 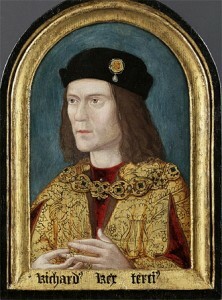 Bess did make some mistakes – and one of these was her decision to hold captive her grand-daughter Arbella, who was in line to the throne, on an equal level with James I.
Bess was almost responsible for Arbella’s existence, having carefully engineered the coupling of Arbella’s parents for the very purpose of producing another heir to the throne. But she imprisoned Arbella at Hardwick Hall, in almost the same manner as her 4th husband the Earl of Shrewsbury had tohold Mary Queen of Scots captive. And not surprisingly, Arbella didn’t like it. Things didn’t work out the way Bess hoped with Arbella – (which was that Arbella should become Queen of England after Elizabeth). If they had, it would have been Bess’s most triumphant achievement. Instead Arbella’s fate was to make a forbidden marriage, to die a lonely, squalid death in the Tower, and to be written out of history. Bess had plenty of bad luck and tragedy in her life but she always fought her corner and her personal strength brought her through. This story reminds us, too, through the experiences of others in Bess’s social ambit, that in life there are those who do extremely well for many years, then make a massive error of judgement which ruins everything. And there are others who spend years causing trouble and living fecklessly – who suddenly come upon a stroke of luck and find themselves in high favour. But this can all be forfeited, once again, by poor judgement – or the intervention of fate. 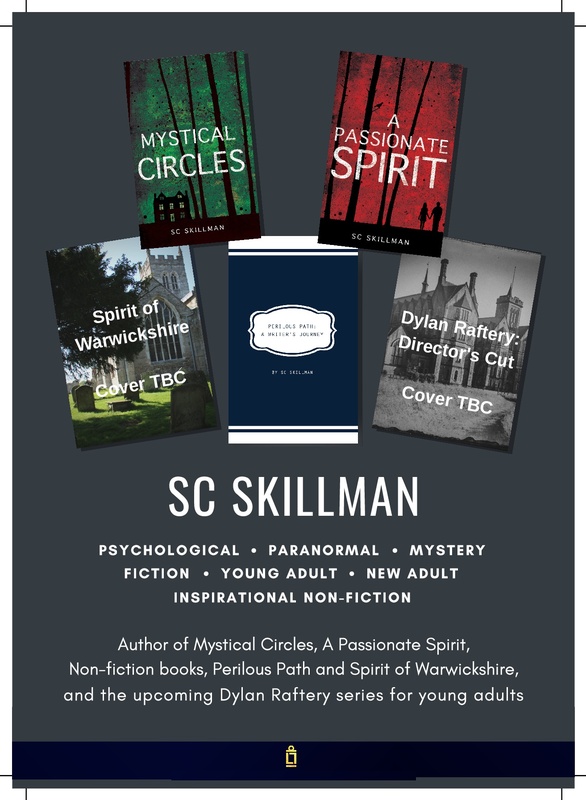 All these elements of our own lives stand out in high relief against the political and social landscape of Tudor England – brutal punishment, hereditary succession, fortunes made and lost, sexual liaisons which threaten the throne, secret and fateful marriages and desperate bids for power. If you love history, put this book on your list!